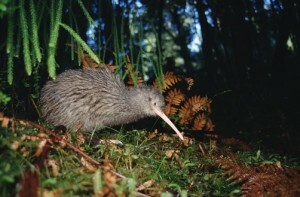 One of the rarest Kiwis in the world, the Okarito Brown is one of New Zealand’s great treasures. 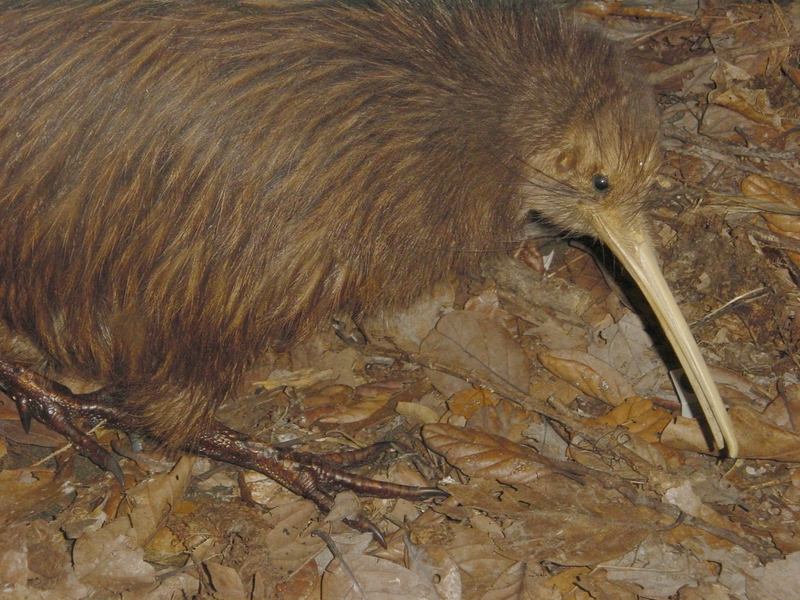 The Okarito Brown Kiwi is noted mostly for its rarity. They have an approximated total population of only 140 in the wild, and even those in the wild are kept on special reserves. Classified among other flightless birds known as Ratites, the Okarito Brown Kiwi shares its lineage with the Ostrich and the Emu. 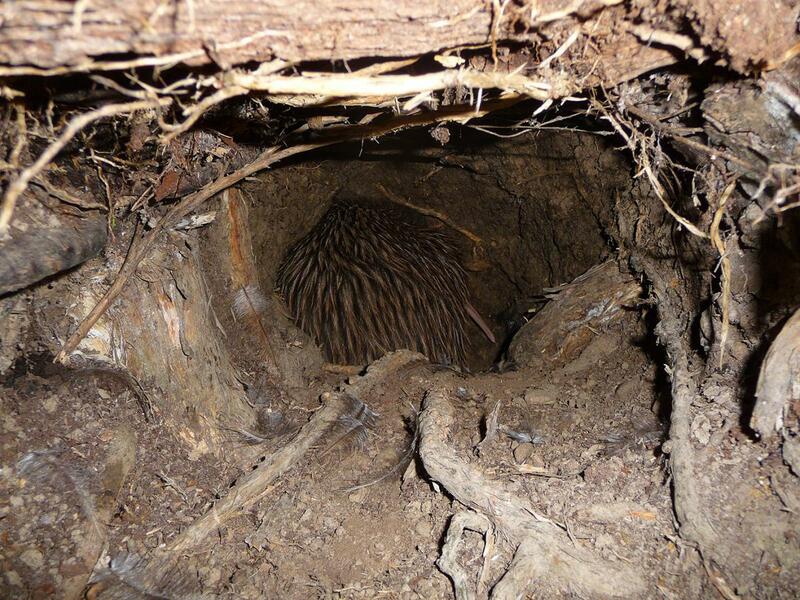 The Okarito Brown Kiwi sleeps underground in burrows that it makes with its powerful feet. In addition it is well known for hunting ground worms and pecking at the occasional berry with their strong beak that doubles as a nose! The Okarito Brown Kiwi will drag the worm out of the ground in small tugs, making sure to get it out in one piece, before devouring it. 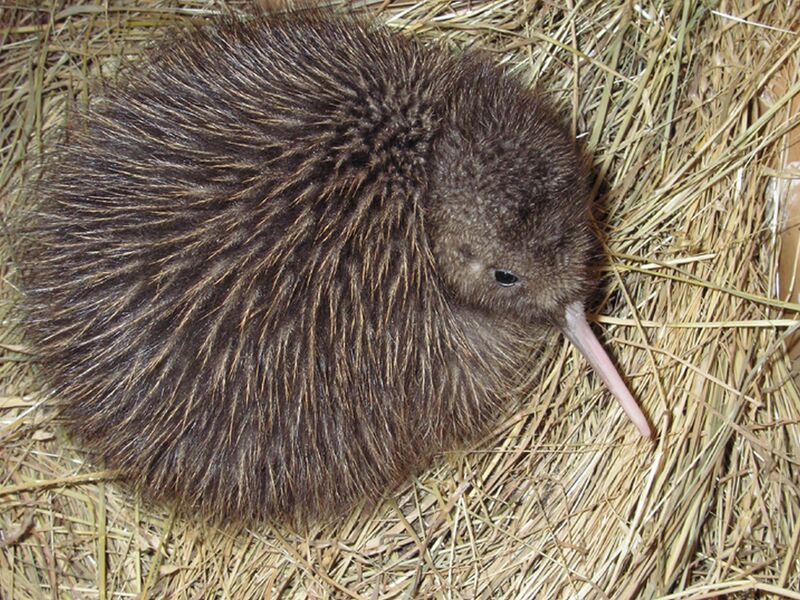 The Kiwi is very protective of its range, and will protect a large area for itself where it can safely burrow as many places as it likes. Because the Okarito Brown Kiwi is severely endangered several conservation groups in New Zealand are making sure these birds are preserved, keeping them in special areas where no predators, natural or otherwise, exist to threaten the Kiwi’s existence. The Okarito Brown Kiwi is very similar in appearance to other Kiwi, being small and round-bodied, with a genuinely stocky appearance. They have curved, long beaks with olfactory cavities on the ends, which they use to snuffle out worms and other underground invertebrates. They have small eyes that possess poor eyesight. Their powerful sense of smell, however, makes up for their poor vision. They have long legs with three powerful claws on each toe, which they use for digging out burrows. Kiwis, of course, can’t fly. Or can they? Several theories indicate that the Kiwi originally made it to New Zealand by flying there – but how? It’s possible that at one time, the Kiwi could take flight like any other bird in the sky. Scientists postulate that at one time, the Kiwi’s bone structure could have supported wings – they’ve just adapted to a life on the ground so thoroughly that all traces of these ancient wings have been lost to the catacombs of time. 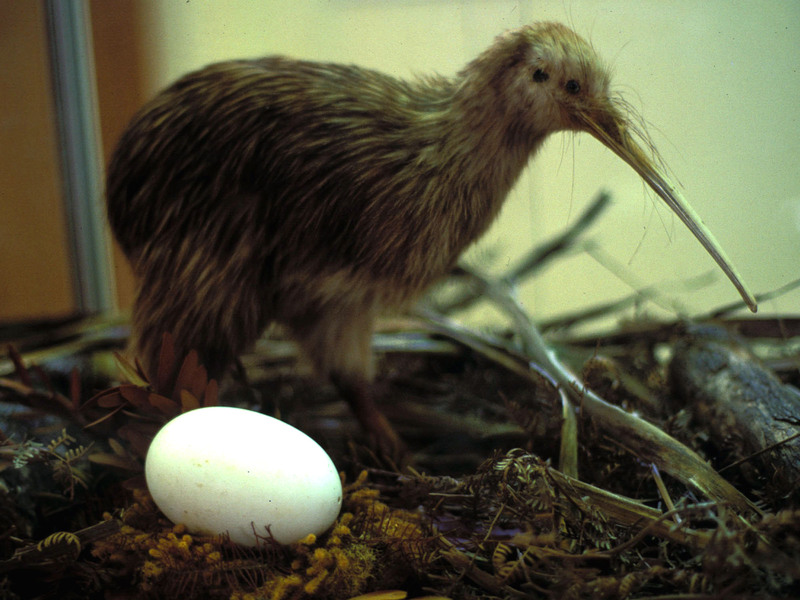 The Okarito Brown Kiwi, like its Kiwi brethren, is also known for its massive egg size; the Kiwi will lay an egg nearly a quarter its body size! The egg is so big, it takes nearly 3 months to hatch.